Watch a balloon entertainer at work and you will see how, with just a few twists, a long balloon can be turned into a humming bird, a parrot on a perch, a pirate sword or even a working rocking horse. Anyone can do it and this book will tell you how. 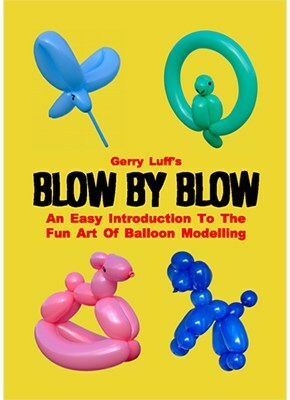 This E-book will tell you everything you need to know from the right balloons to use and how to inflate them to detailed instructions for over twenty models.